I have been blogging for a total of five minutes and was nominated for an award. I am a Liebster Award Nominee! Another bright and beautiful blogger, Lauren Snow of The Lovely Blog thought of and nominated me. Here is how it works. 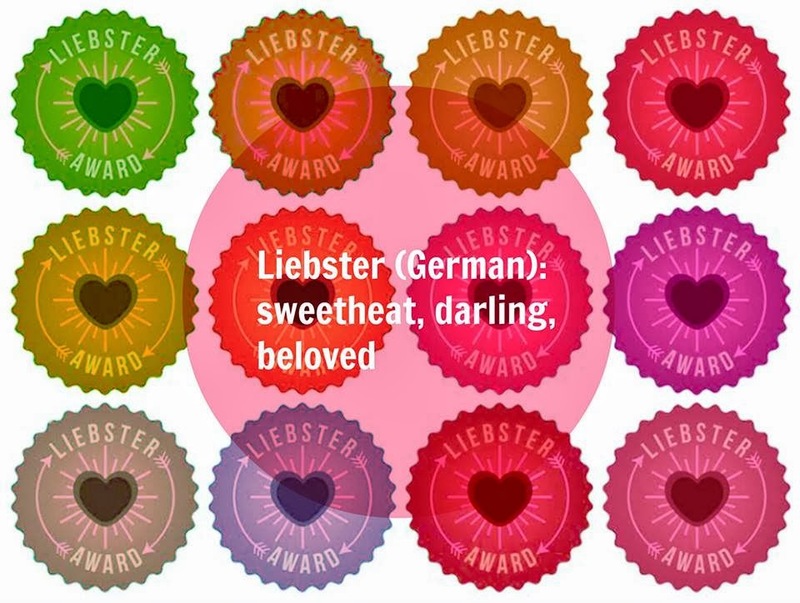 The Liebster (a German word meaning beloved) Award is basically an award given from one blogger to another with the concept similar to a chain letter. I have now accepted said nomination so I am tasked with answering 11 questions about myself from Lauren Snow at The Lovely Blog and then I nominate other bloggers and ask them 11 questions. The whole point is to identify newer blogs with huge potential but not huge numbers of followers and encourage and support each other to build community and readership. Does this make me an award winning blog yet? Okay okay so if you have to wonder if it is chain letter or a real award then it is likely the one that is less impressive. Right? That being said I will take advantage of this opportunity and tell the world at large a bit more about my myself and my motives. 2. How old were you when you first wore makeup? OMG I have no idea, lets say 14? That is a little depressing now that I think about it. 3. What's your best kept beauty secret? Eyebrows are the window to your soul. It is far easier to take less than it is to put back more, so go easy on them. 5. Why did you start a blog? Honestly? We are all in this together and parenting is hard but it is better if we can have a few laughs about the ridiculous parts and learn lessons along the way. I thought that maybe I could help a few people out there know that they are not alone in their anxiety and frustration and that we all go through it. It is just figuring out how to handle each moment a little better the next time. 6. What's your favorite movie? I will watch any Will Farrell movie anytime they are on (terrible I know, try not to judge), but my favorite movie was the one that my grandfather Cyril Hume wrote the screen play too "Forbidden Planet". Science Fiction is in my blood and I love it, seriously I LOVE it. 7. If you could have dinner with anyone who would it be? Depends...are we talking wine and goat cheese and beet salads because then it would be Tina Fey. I feel like we would be best friends and laugh a lot. (Don't act so cool everyone has that movie star they know they would be best friends with if they met.) If it was a 7 course dinner and serious conversation, Atul Gawande who wrote the books The Checklist Manifesto and Better inspires me to be better than I am and I would love to hear his wisdom to improve my practice as a physician and educator even more than he already has. 8. Are you a night owl or early riser? My husband jokes that I don't sleep; I hang upside down in the closet. I don't consider myself either really. I do not require a lot of sleep and typically wake up at 5:00 am to work out after staying up until 11:30 pm watching TV, reading, or doing laundry. 9. Coffee or tea? Coffee + cream + sugar in the morning and tea later in the day, preferably iced. 11. Favorite city. Why? Again I am split between two. Maui, HI for warm beachy relaxation and fresh seafood. If I had the choice of where to live for the rest of my life it would be on the beach. The other is Prague. I visited there once when I was pregnant with my first small human. Even pregnant and exhausted I thought it was the most interesting and beautiful place I had ever been. I can only imagine going there foot loose and fancy free to imbibe and see everything it has to offer without crushing fatigue and sobriety as my bed fellows. 1. Why did you start a blog? 2. Who is a hero in your life? 3. What is your most prized possession? 4. Cat or Dog? Why? 5. What is your favorite post you have written? Please provide a link in your answer. 6. How did you pick your blog's name? 7. What are three things you cannot live without? 8. Knowing what you know now. What advice would you give your 13 year old self? 9. What is your favorite post on my blog 3 Small Humans? 10. How do you spread the word about your blog? 11. What is your perfect Saturday?